Where the Wasatch Plateau meets the high desert, Joe's Valley sits as a world-class bouldering destination. Beautifully color streaked boulders dot the landscape just east of Joe's Valley Reservoir in Central Utah's "Castle Country". With a seemingly endless supply of sandstone boulders, finger-friendly stone, short approaches, great camping and generally nice landings it is not a stretch to imagine Joe's taking its rightful place as a premier bouldering zone. "Discovered" in the ‘90s and then brought into the limelight by the ascent of Black Lung (V13) by Ben Moon in 2000, Joe's has been featured in a variety of magazines and online videos. Despite Joe's relatively young age as a bouldering destination, the latest guide book of the area boasts over 600 problems and development continues. A short two and a half hour drive from Salt Lake City and a quick six hour jaunt from the front range of Colorado positions Joe's for popularity and accessibility. There are problems ranging from V0 to V14. The majority of the fun seems to be V4 and up but there is definitely something for everyone. The sandstone is strong but skin-friendly and there is just about every feature of hold imaginable. Most blocks stand around 15' but a few highball problems exist like The Kraken (V4R) and Nerve Damage (V6) that stand 35' tall. Some of the favorites are The Angler (V2), Pocket Rocket (V5), Wills of Fire (V6), and Black Lung (V13). The climbing is split into three main zones The Left Fork, The Right Fork, and New Joe's. Most of the boulders in the original areas of Left and Right Forks are virtually roadside. Problems like the famous Black Lung that lie in New Joe's may require a 15-20 minute approach. One usually drives between zones but walks within. Approaches are almost always five minutes or less. The nearest motel accommodations are in Castle Dale and Huntington, although there isn't much choice as both places host only one motel and it's the same franchise in both towns. These motels are reasonably priced and well kept. There is a large supermarket in Castle Dale, in which you should be able to find all the provisions you require. There is also a garage and a couple of restaurant/fast food options. The camping in Joe's Valley is currently wild, primitive and free. There are three main spots. Two are in the Right Fork at .9 miles up and 2.4 miles up. At .9 miles you have the ever popular Man Size camp and at 2.4 the Boux area. Both of these are found on the left. The third, Fisherman's camp, is 1.2 miles up the Left Fork. These areas are well used and fire rings are built up and blown out. New rings spring up and dot the sites. 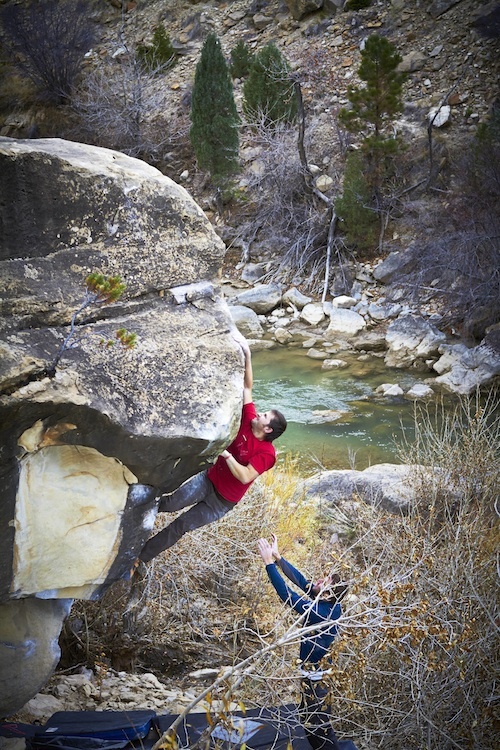 Climbers are generally respectful of the area but as the popularity of bouldering and of Joe's grows, the need for a management plan becomes apparent. If you are looking for a less primitive campsite the Joe's Valley Reservoir Campground at the top of the Left Fork is open year-round and offers picnic tables, bathrooms, and fire pits. The Salt Lake Climbers Alliance (SLCA) provides two toilets, one in the Left Fork and one in the Right six months a year. The SLCA has done this for the past six years. The SLCA raises funds for this community service by throwing parties, screening films, and through grants like the American Alpine Club's Cornerstone Conservation Grant. The SLCA does this proactively to preserve access and aims to find a more permanent and sustainable solution to the growing numbers at Joe's. Joe's Valley is within the watershed for Emery County; therefore environmental impacts from climbers are a potential threat to drinking water. Land managers recognize the increase use of this area and the US Forest Service has requested that the SLCA present an assessment of informal trails, disperse campsites, and bouldering recreation sites along with recommendations for planning that will advise officials governing the National Environmental Protection Act (NEPA). Through this assessment, climbers can have a greater say in the future of Joe's ensuring continued access for climbers. The American Alpine Club Cornerstone Grant is helping to fund this assessment. The land management at Joe's Valley is shared between the Forest Service and the Bureau of Land Management. In 2013, the SLCA helped to form the Joe's Valley Coalition to bring all the land managers to the table along with Emery County, the Utah Governor's Office, SLCA, American Alpine Club, and the Access Fund. This formation of a public/private partnership shows interest in Joe's Valley and gives priority for planning to occur. 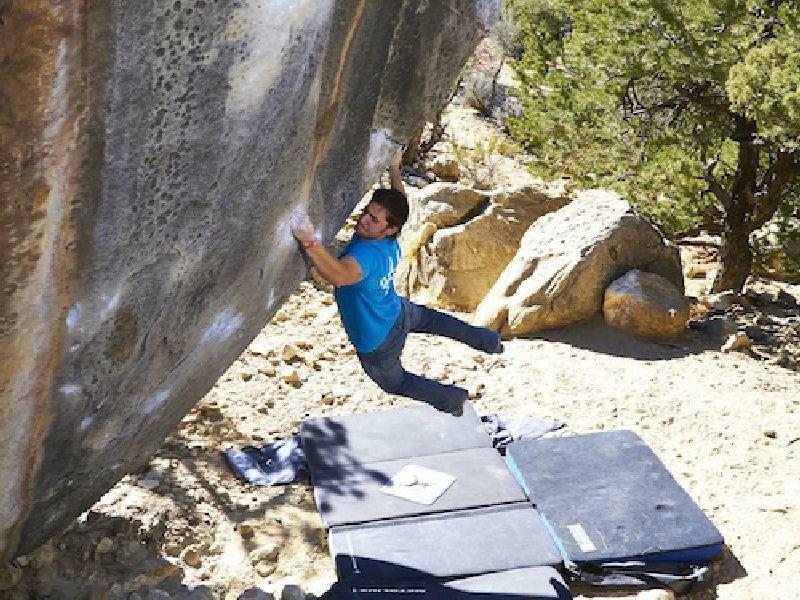 Luckily, for climbers, the locals of Emery County are a welcoming group and have embraced the growing popularity of this bouldering gem in their backyard. The Food Ranch is the nearest convenience store and has much to offer the climber. Pizza, beer, fuel, and free Wi-Fi are some of the offerings. Forgot your guide book? The Food Ranch has you covered. Showers can be found in Orangeville at the community pool. 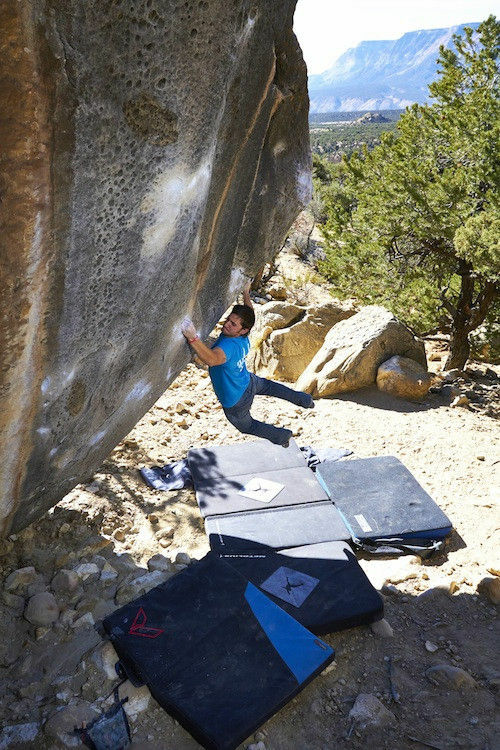 Joe's Valley has made it onto the to-do lists of boulderers around the world and with good reason. One can climb year-round at Joe's. The most idyllic times may be spring and fall but with the right fortitude it is possible to climb all year and the climbing is spectacular. It is not uncommon to meet climbers spending weeks on end at Joe's. Please be respectful of others and the environment here. A few kiosks with reminders to that effect will be going up soon. Leave no trace! The Mountain Project App can also be helpful.